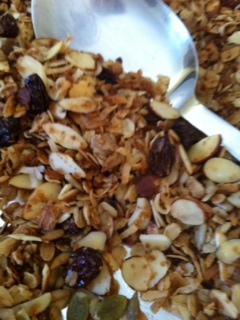 Substitute half Lyles Golden Syrup and half maple syrup for the honey – it will make the granola very crisp, I prefer it. Bottom line: Add and subtract what you like, but keep the ratios. The only thing I would not substitute out would be the oats . 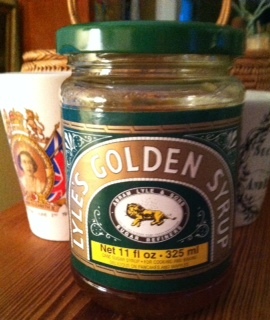 Lyle’s is cane syrup – try using this in place of corn syrup in pecan pie -you will never go back.. 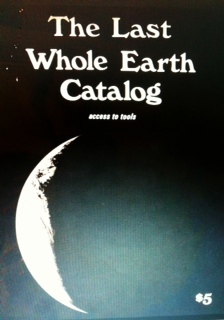 This entry was posted in Recipes and tagged Breakfast, granola, Lyle's Golden Syrup, whole earth catalog. Bookmark the permalink.